It became apparent when I started university that, if you weren't on Facebook, you didn't exist. In my first year, many of the notes for my seminars were posted online to a Facebook group, and if you weren't on Facebook, you missed out on all kinds of helpful essay materials. Also, if you weren't on Facebook, you couldn't be invited out for drinks or parties, and you didn't know when your rehearsals were scheduled for. You couldn't contribute to group discussions. You were a nobody. What I didn't realise was how much this could carry on over into Second Life. In terms of a virtual presence, Kitti exists, obviously, in SL, and here on Google Blogs, and on Flickr. She does not, however, have her own email address. She doesn't have a Facebook page - I was under the illusion that Facebook had a rather severe definition of what it meant to be 'real', and deleted the profiles of those that did not match it, SL avatars included. Today, Strawberry Singh has written about Google +, and Kitti doesn't have one of those either. Come to think of it, the only reason my outside-of-SL-self has one is because Google made me. I don't use it. 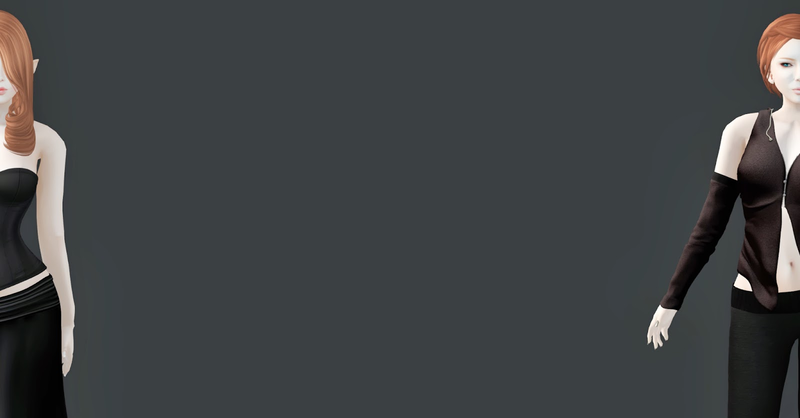 Another platform, particularly favoured by those who use SL, is Plurk, and Kitti doesn't exist there, either. Now, it seems, it might be prudent for all sorts of self-promotion reasons to consider kitting Kitti out with some more of this social media stuff. 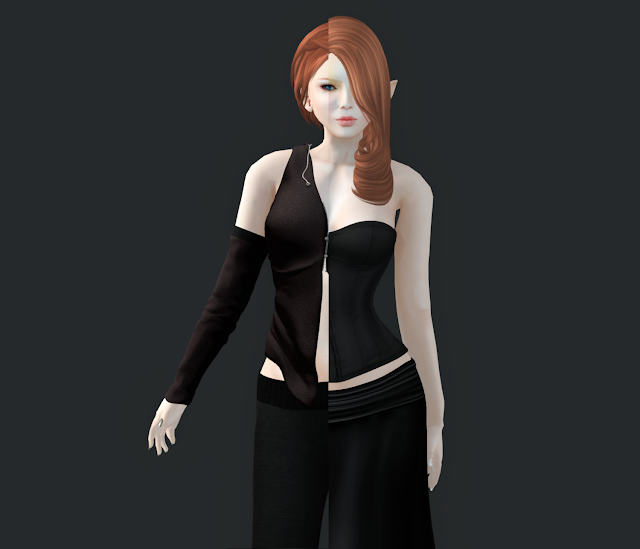 Along the same vein...there is a feature in SL that gives every avatar, whether they want one or not, a profile. This consists of a Facebook-style feed, an about page, a page for 'picks', and a list of all of the groups you are a member of. Until today, all Kitti's SL profile consisted of was this groups list, and a link to this blog. I am not somebody that looks at profiles very often, but I have come to realise that I am part of a minority. And because I don't think about my profile, I get caught out all of them time when people I've never met before as me if I'm visiting a specific location to write about on my blog. 'How do you know I have a blog?' I ask, bemused. 'It's on your profile', they reply. D'uh. However, it has occurred to me that the SL profiles work much the same way that Facebook did during my days at university. A number of bloggers have confessed that if you have got nothing written in your profile, they won't speak to you, no matter how nice you may seem, and now I'm wondering how many other people I've missed speaking to because my profile just reads 'I blog here'. How do you present your whole SL changeable self in one image, one short biography? But what else can I really write? When it comes to writing biographies, I can do all the obvious stuff, like tell you where I studied and who my friends are and what colour my hair is. I can tell you where I grew up and how I managed to get this accent. But is that what you want to know? I'm not sure, and I'm not sure that it is always appropriate for everybody to all of that about me straight from the off. Surely, you're more interested in whether or not I am friendly or generous or mean or interested in SLex? - and that's the stuff I find it really difficult to write. How are you meant to put the sum of your existence, real or virtual, into one hundred or so characters? I don't think it's pretentious to suggest that even avatars are more complicated than that. I'm aware that the profile is not, at all, meant to outline every detail of your entire existence, but I also know that if I only wrote 'I like cats', providing no context, you might go on to think something about me that was utterly unfounded, and made obviously so by another factor I have chosen to leave out of my biography ('I like cats' is probably a bad example for that point). Don't get me wrong - if you have found a way to utilise the SL profile, and have defined yourself there in a way you are happy and comfortable with, that's brilliant. I just haven't reached that stage yet. My SL profile now says that I am curious, and that I am interested in role-playing, photography and blogging. There's a picture, and I added a couple of my favourite sims to the 'picks' section. Is that enough? Will you talk to me now?! It strikes me that the reason these bloggers felt that their 'coming-out' about not speaking to people who have nothing in their SL profile was a 'confession' is that actually, when you think about it, it's a little bit silly. It's the kind of thing that comes from a generation of people who can't remember what the world was like before Facebook, and I understand it completely, but it's not something I want/think/believe. Not speaking to somebody because their SL profile is blank - or expecting to be able to open someone's profile and learn things about them before you've even said hi - is like refusing to speak to somebody in the street because they're not on Facebook. Is that how we will work in the future? Will we have our Facebook URLs tattooed onto our foreheads, and those without them will be exiled to the social life-less fringes of society? The analogy comes unstuck. You can learn a lot about a person, both in RL and in SL, just from the way they dress, the way they move, the way they speak (or don't) in public chat. And the SL profile isn't like Facebook because, in my experience anyway, Facebook is used to keep up and communicate with friends who already know you, not new people wondering whether or not they want to start a conversation with you. I'd be scuppered if it worked like the SL profiles, because my Facebook biography contains only two words and I haven't used it to list every book and film I have ever read and watched, so nobody would ever speak to me. I would imagine that the 'biography' section to Facebook is a ghost from the time when it was used by rich American university boys to pick up rich American university girls, anyway. So there we have it. My name is Kitti Wytchwood and I am curious and I like to complain about Second Life and its inferences, coincidences, and ramifications. If there's something you want to know about me that isn't answered by the four words on my SL profile, say hi and ask me a question, like you would do if this was RL and you'd just walked up to me in a bar. I'm not getting my Facebook URL tattooed on my head, and anyway, I think I've got most of it set up so it can't be viewed by strangers. Labels: avatars, context, Facebook, Google +, self, what is sl?